We deliver crystal clear movies on huge outdoor inflatable screens with theater quality audio that leave people buzzing with excitement. Twilight Zone Outdoor Cinema is based in Minneapolis. 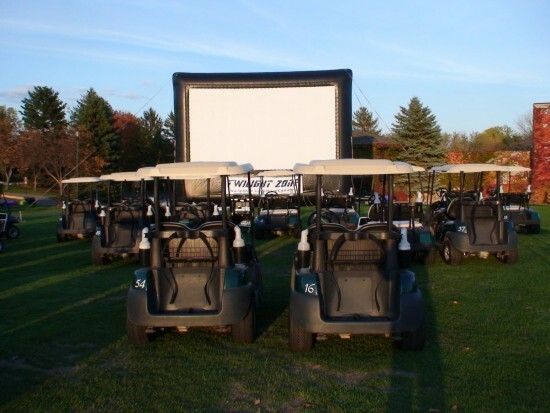 We bring the outdoor movie experience to the next generation in Minnesota, Wisconsin, Iowa, and the Dakotas. 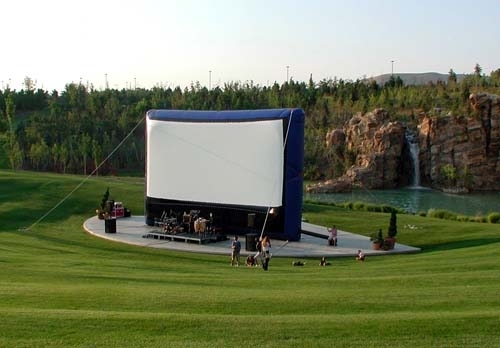 Outdoor or indoor…cinema style or drive-in…movies, games, ads or live video… the uses for our screens are virtually unlimited. Twilight Zone brought a drive-in movie experience to our backyard for a kids birthday party and it was a blast! Not only did the kids have a great time, but it proved a nice opportunity for friends, family and neighbors to get together, connect and have fun. We were very impressed with the company's service and professionalism - from booking through take down they delivered great value, and we will definitely look to them again for another backyard movie event in the future. Thanks TZ Cinema! Twilight Zone Outdoor Cinema is an event production company that specializes in large scale indoor and outdoor media presentations. Based in Minneapolis - St. Paul, we provide the Midwest with full-service event production. 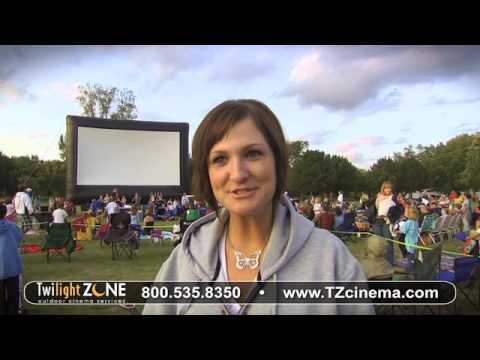 Twilight Zone Outdoor Cinema is a division of C&J Entertainment, LLC based in the Minneapolis - St. Paul area. We are an event production company that specializes in large scale indoor and outdoor media presentations. Twilight Zone delivers the ultimate outdoor cinema experience in the upper Midwest. Our primary territory includes Minnesota, Wisconsin, Iowa, North Dakota and South Dakota. The inspiration for this business was childhood memories of going to the drive-in theater with the entire family. Do you remember bundling up in sleeping bags on a mild summer evening watching a movie like Star Wars out of the back of a station wagon? Our parents would hope that we would fall asleep soon after the second movie started so we wouldn’t see something that we weren't supposed to see. Some of us would pretend to sleep, taking a peek once in a while, and finally fall asleep for good. Family memories like those are priceless. Twilight Zone Outdoor Cinema is bringing the outdoor movie experience to the next generation. Most of our events are structured so that the audience is seated on blankets or lawn chairs instead of sitting in cars. This format creates a greater sense of community since you can sit close to friends and neighbors. 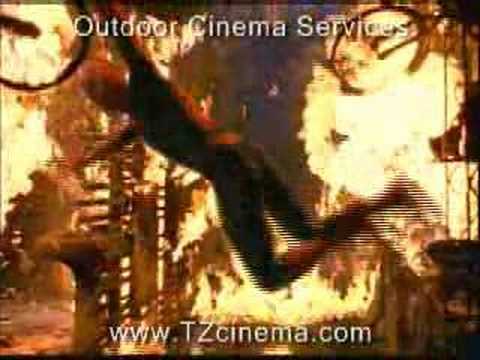 Twilight Zone uses superior outdoor audio systems that rival the quality of indoor theaters. High definition DLP projectors produce sharp video images on inflatable movies screens up to 40 feet wide. Twilight Zone offers a turnkey event service. Our technicians handle all of the set-up, media presentation and transport of equipment. Our event planning staff will assist you throughout the scheduling, planning and execution stages of your event. We will provide the advice and experience to make your event a real blockbuster!